FEBRUARY 2007 -- By the time you read this report the schools of instruction should be completed. The last one was on February 4, 2007 at Beacon Valley Grange. I hope all who attended the schools came away with useful information. I tried to impart to those in attendance the important responsibilities of the Grange Officers and how the meetings should be conducted. At some of the schools, particularly those across the Connecticut River, it was a meet the new Master event, since I have not been a frequent visitor in these parts. I met many new people and I hope they got a sense of what I stand for as far as the Grange is concerned. At all of the schools the State Directories and Blue Books were distributed. I want to thank all the Committee Directors and the State Officers for the prompt delivery of their committee information which enabled the Blue Books to be done quickly. A special thanks to Todd Gelineau for assembling all this information and quickly printing it. The Blue Book contains much useful information to help all Granges plan the coming year. Look over the Honor Grange report and see what you can do to increase your score. Also when you receive the inspection form from your deputy check it to see what can be done to increase your inspection score. 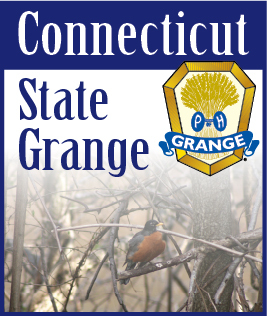 Now that the cold weather is starting in remember there is a warm glow at your Grange hall. I hope one of your New Years resolutions was to become more active in your Grange. We are all needed, now more than ever. Lets do what we can to build up our membership. Lets get ready for 2008.